A major challenge college students face is retaining the knowledge they acquire in their classes, especially in cumulative disciplines such as engineering, where ultimate success depends on long-term retention of foundational content. 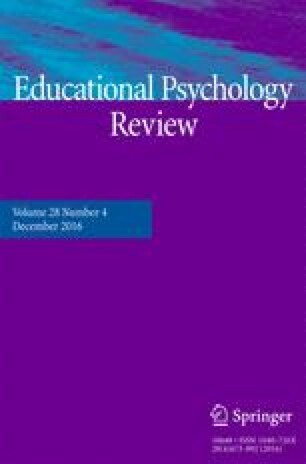 Cognitive psychologists have recently recommended various techniques educators might use to increase retention. One technique (spaced retrieval practice) involves extending opportunities to retrieve course content beyond a customarily short temporal window following initial learning. Confirming the technique’s utility requires demonstrating that it increases retention in real classroom settings, with commonly encountered educational content, and that gains endure into subsequent semesters. We manipulated spaced versus massed retrieval practice in a precalculus course for engineering students and followed a subset of students who proceeded into a calculus class the following semester. Spacing versus massing was manipulated within- and between-subjects. Within-subjects, students retained spaced content better than massed content in the precalculus course. Between-subjects, students for whom some retrieval practice was spaced, compared to those for whom all practice was massed, performed better on the final exam in the precalculus class and on exams in the calculus class. These findings suggest that spaced retrieval practice can have a meaningful, long-lasting impact on educational outcomes. Results of this study were presented in part at the annual meetings of the Association for Psychological Science (New York, NY, May 2015) and the American Society for Engineering Education (Seattle, WA, July 2015). This research was supported by a National Science Foundation Improving Undergraduate STEM Education Award. All procedures performed in studies involving human participants were in accordance with the ethical standards of the institutional and/or national research committee and with the 1964 Helsinki declaration and its later amendments or comparable ethical standards. The Institutional Review Board at our university waived the requirement for subjects in this research to provide informed consent. However, as stated in the manuscript, students were given the option to decline to have their performance data included in our analyses. No student declined. This article does not contain any studies with animals performed by any of the authors. Beanland, D. G. (2010). Challenges and opportunities facing the education of engineers. Retrieved from https://www.engineersaustralia.org.au/sites/default/files/shado/Divisions/Victoria%20Division/Groups/Senior%20Engineers%20Group/seg_march2010.pdf. White House (n.d.). Educate to innovate. Retrieved from https://www.whitehouse.gov/issues/education/k-12/educate-innovate.